John Salter, PhD, CFP®, AIFA®, CFA, is an Associate Professor of Personal Financial Planning at Texas Tech University. Dr. Salter has been on the Texas Tech faculty since 2006. During this time he has taught numerous courses in the program and has been heavily involved in the administration of the program. Dr. Salter also serves as a wealth manager for Evensky & Katz Wealth Management in their Lubbock office. 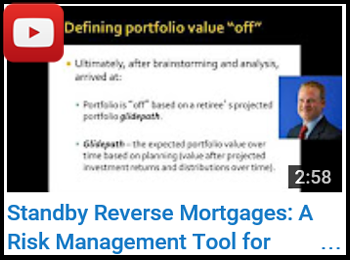 View YouTube clips from recent Retirement Resource Center webinars including John Salter, PhD, CFP®, AIFA®’s Standby Reverse Mortgages: A Risk Management Tool for Retirement Distributions . Dr. Salter received his PhD in Consumer Economics with a specialization in Personal Financial Planning from our own Personal Financial Planning program, and has also earned an MS in Personal Financial Planning, MBA, and BS in Chemical Engineering. Dr. Salter served as director of the Personal Financial Planning program prior to the Department’s transition to a department and currently as the director of undergraduate CFP Board-Registered programs. He has been recognized for his teaching and service multiple times in his career at Texas Tech. Dr. Salter also served as president and chairman of the Financial Planning Association’s West Texas chapter. 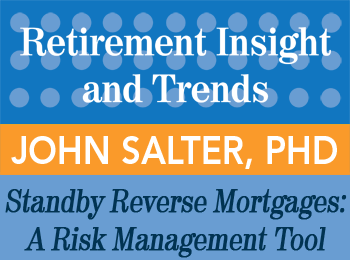 Read a summary transcript of John Salter, PhD, CFP®, AIFA®’s presentation Standby Reverse Mortgages: A Risk Management Tool for Retirement Distributions in the 3rd Qtr 2013 issue of “Retirement Insight and Trends”. Salter, Harness, & Chatterjee, Value of financial advisors to retirees, Journal of Financial Services Professionals (2011). Have John Salter, PhD, CFP®, AIFA® speak at your event! John Salter, PhD, CFP®, AIFA® is one of many experienced speakers and keynote presenters on a variety of topics for your retirement professional development or consumer group. Please contact us today via email or phone 847-686-0440 x102 if you would like to have John Salter, PhD, CFP®, AIFA® present at your conference or appear at one of your events, or to receive a free voucher to view a sample of one of our speaker’s work. 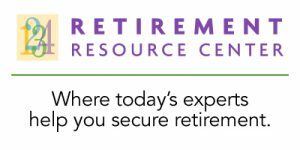 Find courses and products from John Salter, PhD, CFP®, AIFA® at the Retirement Resource Center.